1981 – These dirty birds brought me into the world. 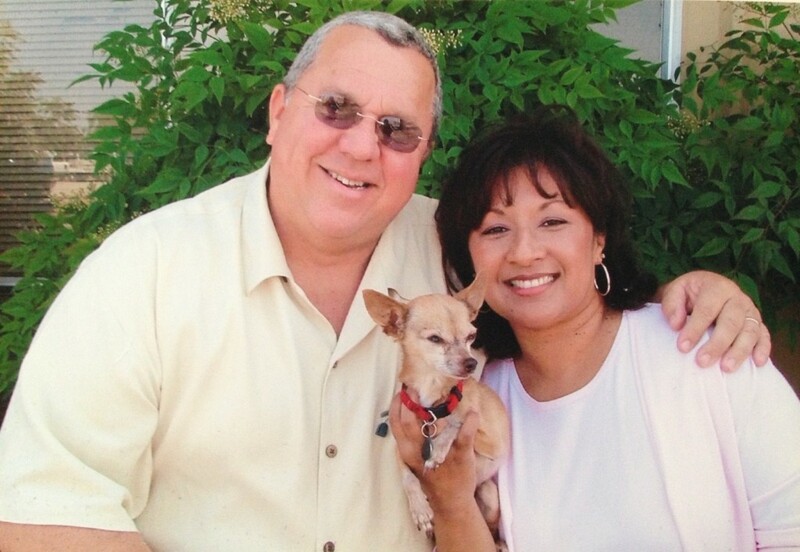 2005 – I have more recent photos, but their dogs are hilarious. 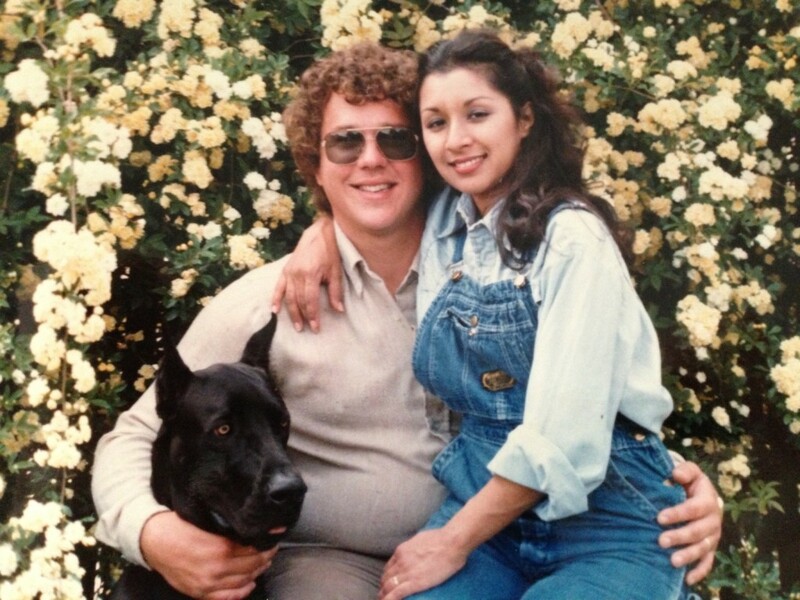 My mom looks like Mexican Mary J. Blige, my dad looks like if Harold Ramis and William Shatner had a baby. There are a lot of great things about being biracial. Having a crazy skin tone that’s hard to match isn’t one of them. They* say in a thousand years everyone will look like me. That by then, everybody will have humped each other into one race, and we’ll all be sort of brown. I think these are some science facts I heard. It seems right to me. 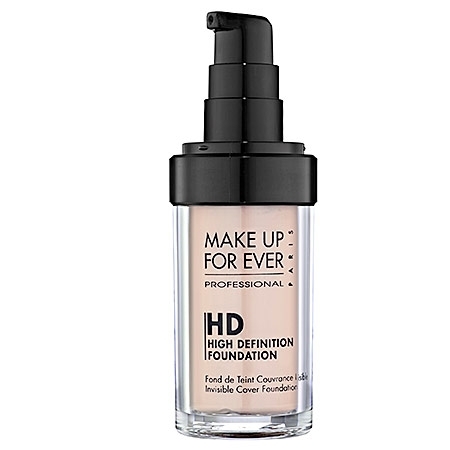 Those beautiful, caramel colored, future people are lucky because MAKE UP FOR EVER HD Foundation exists. They’ve already totally nailed our hard to match olive skin tone. Everyone is always trying to make me so pink! Or, so yellow! Or, so pale! I’m like, weirdly pale, but also brown. I often feel like I’m settling with the color of my foundations and powders. They’ll seem right at first, but soon I’ll feel like I’m looking really flushed, or like my jaw doesn’t match my neck. That’s really tough for someone who thinks about makeup as much as I do. Like, I have enough to worry about in photos. I don’t need this too! Until the time comes that there’s the need for only one foundation color, MAKE UP FOR EVER has 26 shades available, to cover a wide range of skin tones. This foundation has really great, buildable coverage that leaves a soft, flawless finish. I apply it, a couple pumps at a time, off the back of my hand, using my Sigma Beauty F80 Flat Kabuki brush, from the center of my face, out. I love it because it blends beautifully, and evens out my skin without totally covering my moles and freckles. I don’t want a totally flat face, you know? It doesn’t settle into lines and creases, and it doesn’t get gross or cakey looking throughout the day. It also works on different skin types, and ages. I’m more dry/combination, but my mom is very oily and she uses it too. Her skin tone is also very hard to match, and she was able to find a foundation that worked for her out of their line. That’s really saying something. My mom has been looking for a good match for, like, her entire life. You don’t have to wear a powder over this foundation, I often don’t. But, if you want to, you can just use a light dusting of translucent powder. I wanted to show you guys a photo. But, since I’ve had bronchitis for 5 days, I look really terrible right now. Like, really, I don’t even remember when I last washed my hair. Soooo….I went through my photos and found one that showed my face really close. I don’t look anything like that right now. And, it’s so embarrassing that I just have all these photos of my own posed face readily available. For whatever occasion! The judgmental way the dog looks at me when I’m in front of the lights, taking a thousand barely different pictures of myself, is enough to know that I should be ashamed. But you know what I’m not ashamed of? How awesome my skin looks since I started using this foundation. *Scientists? Worried racists? I swear I read this somewhere. 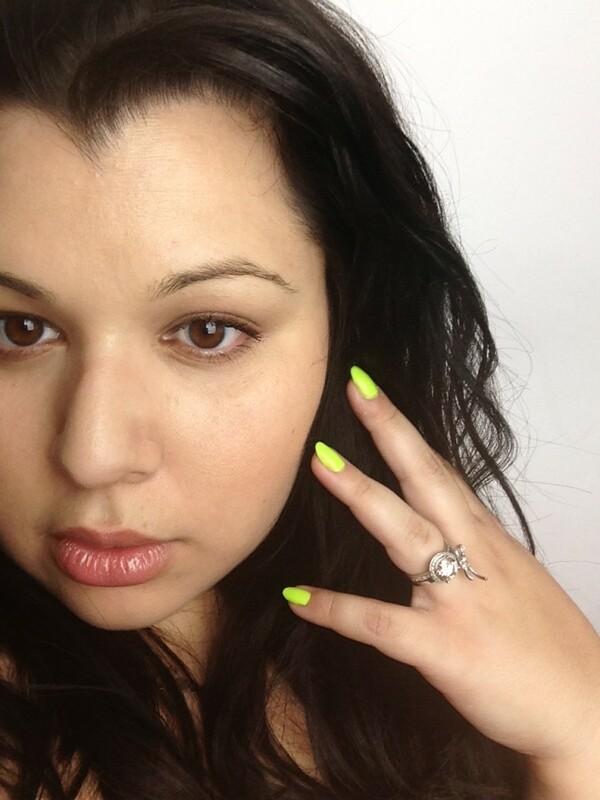 → Riri Hearts MAC Winners!